Trying to work out what causes any disease is tricky, very tricky, although in some cases it has been relatively straightforward – at least in retrospect. Scurvy, for example, has a single cause. A lack of vitamin C. If you replace the vitamin C, all the signs and symptoms of scurvy will disappear. The microorganism must be found in abundance in all organisms suffering from the disease but should not be found in healthy organisms. Koch didn’t just stumble across a bacteria in someone with TB and announce to the world that this was the cause of TB. He knew that if you look in any sample from diseased lungs, you will find hundreds of different bugs kicking about. Which of them is the true cause? To find out, you need to isolate one, find a culture where it can multiply, then stick it in another animal to see if it develops the same disease. You take that microorganism back out of the newly diseased animal and check it is the same bacteria that you isolated in the first place. Then, and only then, can you claim you found the causal agent. Good stuff, sounds complicated. In truth, that was simple. Things become far more difficult when, for example, you cannot find a single causal agent. Or you find that you have found a likely agent, but many people exposed to it do not get the disease. Or, you find that people who have not been exposed to your proposed causal agent can also get the same disease. Smoking, for example. You have a hypothesis that smoking causes lung cancer, but most people who smoke do not get lung cancer. Equally, many people who have never smoked can suffer from lung cancer. Given this, you could argue that it is not actually smoking that causes lung cancer, but something else. An argument used for decades by the tobacco industry to establish that smoking was perfectly healthy. Strength: (effect size): A small association does not mean that there is not a causal effect, though the larger the association, the more likely that it is causal. Consistency: (reproducibility): Consistent findings observed by different persons in different places with different samples strengthens the likelihood of an effect. You may have noted that these cannons are not remotely black and white. There are many shades of grey here. Even so, I can confidently assure you that if you take any of the current risk factors for heart disease, they fail to meet some, many, or indeed any, of Bradford Hills cannons for causation. For some time, I looked at Koch’s postulates, changing the word microorganism to pathogen. I reviewed the Cannons for causation and repeatedly tried to apply them to possible causes of cardiovascular disease, but I found that they are of little practical use. Things got very complicated very quickly and trying to pull all the necessary strands of thought together was well beyond my mental capacity. I began to realise that when it comes to cardiovascular disease we do NOT have any single causal agent, or factor, or even a remotely coherent causal model. Something noted over twenty years ago. ‘Our poor understanding of the nature of coronary heart disease explains why we lack a clearly expressed paradigm to explain it. All diseases are explained on the basis of a paradigm, or model, which is an expression of present understanding even though it might be incomplete or wrong. Being able to develop a paradigm, to construct a model, implies a certain level of understanding; the absence of such a paradigm which would include most if not all known risk indicators, implies very little understanding. There is an alternative calculator used in the US. It only uses ten factors. It can be found here http://www.cvriskcalculator.com/ As an aside, neither of them use LDL to calculate risk. Interesting? [Both calculators greatly overestimate risk]. You may say that age clearly does cause CVD – it is certainly the most powerfully weighted factor on the list. I would counter that, if you have no other identified risk factors for CVD, why should getting older be a problem? What is the mechanism? Here we have ten causes? But can these extremely disparate things all cause the same disease, and in the same way. History of migraines, and smoking, for example – what links them. Or, severe mental illness and rheumatoid arthritis. Go on, try and fit them together, with the LDL hypothesis, and see if you can end up with a coherent model. Therein lay the challenge that I set myself many years ago. Of course, I could easily add many other items to Qrisk3. Antiphospholipid syndrome, sickle cell disease, Kawasaki’s, air pollution, magnesium deficiency, Avastin, proton pump inhibitors and on and on. To put this another way, the classical causal models were never going to work for CVD. Koch’s postulates, Bradford Hills cannons for causation represent a paradigm that is not suitable for understanidng CVD. For starters it is impossible to establish how they can all fit together as independent factors. Even if you restrict yourself to the twenty different variables on Qrisk3, the possible combinations between them is twenty factorial. Which is twenty times nineteen, times eighteen, times seventeen etc. That is 2,432,902,008,176,640,000 possible interactions. Two-point four sextillion. Go on, design a clinical trial to explore that. What I came to realise, eventually, is that you cannot understand CVD by studyng hundreds and hundreds of different risk factors that could be causal, could be associations, could be coincidence. The only possibly way to understand this disease, was to stop looking for causes and start looking at the process. This is something that I have said many times before, but it bears almost endless repetition, for it is key to everything. If you cannot explain why, and more importantly how such things as: postcode, rheumatoid arthritis, smoking, steroids and history of migraines can lead to an increased risk of CVD you are just making lists and explaining nothing. So, having got that off my chest, again, I shall return to process in the next instalment. This entry was posted in Cardiovascular Disease on July 23, 2018 by Dr. Malcolm Kendrick. Simply brilliant exposition of common sense. Unfortunately big pharma doesn’t want to listen. Absolutely. As an engineer-scientist, I would expect there must be an explanation of the mechanism by which any of these “factors” can cause, or contribute to a condition that causes, CVD. Otherwise, this reminds me of the many fruitless conversations I have had regarding dietary links to cancer, CVD, etc., with vegan proponents. “Meat (dairy, saturated fat, sunspots, you name it) causes cancer!! !” “How?” “Well, this study shows…” “Yes, and this one shows something else”. It seems it is a basic human yearning for some single cause for whatever ails us. We want it to be black-and-white, uncomplicated, etc. Despite our supposedly large, complex brains, we abhor complexity like nature abhors a vacuum. My wife would contend that I abhor a vacuum too. The new Repatha commercial in the USA is an abomination. I was totally enraged. The commercial showed a slightly heavy middle aged woman with her family. The commercial said something like, I have high LDL and I don’t want to be taken away from my family. implied: I need to lower my LDL so I won’t have a heart attack. Then enter this injectable drug to “fix” her LDL so she won’t have a heart attack. The commercial is indirectly implying fake things like high LDL causes heart attacks. Then at the end, there was a “club” to get a lower cost Repatha injection. That doesn’t mention that the insurance company will be paying and that is going to push up the medical costs for everyone else. One emergency room visit for an allergic reaction was 6,000 in my neighborhood. @Lucy — I hear you! Every time I see either of the 2 Repatha commercials (there’s one with a man in similar circumstances) I want to throw things at the TV. Why would anyone want to reduce their LDL by “up to 63%” (What a comfortable-sounding number), when there’s a strong positive correlation between low LDL and all-cause mortality? Interestingly, when I input my actual figures into qrisk, with no blood pressure medication and a blood pressure reading of 152, it comes up with me having less chance of dieing than if I used blood pressure medication and had a reading of 140. Thank you. Why do average cardioloists seem to be unable to understand what you have said so clearly? That’s probably true to an extent. Jaded? I’d like to think that they Believe in the “established” protocol and are doing good. ie.g. my (ex) cardio ‘not’ canvassing OMT, Do Nothing, – or even use Strophanthus. and/or EECP. Nope, ea$ier to terrify victiim & Wife into believing the End is Nigh… and ‘immediate’ CABG;ing the Only Way Forward. Hi Dr Kendrick, Dr Harris here. I have followed your blog for what seems like years and have read your books. I practice ER medicine at an American Indian Hospital- Chickasaw Nation in Ada,Ok. Trying to engage other docs in the cholesterol and related myths of modern medicine is very frustrating to say the least. Eventually they will all see the light and like you have said before pretend they knew it all along. Anyway I was shocked and more than a little stressed out that stress is not on the risk factor list. Thanks for the blog I look forward to every new post. Thanks for your comment. Things do not move rapidly I am afraid, but they do move in the end. One could add depression to the list. Can statins cause depression? Apparently the gut produces most of the serotonin and statins can alter the gut microbiome, so there could be a connection. Irritability is a statin adverse effect, a stressful situation for bystanders. Big pharma has no interest in listening! Consider metal fatigue, but exclude as too proximate repeated bending of the metal. Look for the “cause” of the metal bending such as vehicle collisions, applications of strong muscular forces, repeated blows, long time usage, etc. etc. Doesn’t work. But it is informative to get up real close to see how metal bending builds up changes in crystal structures and leads to metal fatigue. At this point in time what we seem to need to learn about CVD is more about stages than causes. Indeed. I sometimes use the analogy of roads and potholes. If postcodes with more potholes are a risk factor for CVD, I am certainly doomed! A great overview as always! Though this one about the CVD calculators has in my eyes a special “sting”. I just wonder why the well recognized factor of stress is not an item on the lists. Interesting analogy, especially since metal fatigue of the super alloys in aircraft engines ha happened to by my special field of research for some years. In the rather expensive research programs we got to “deep into understanding” of some of the intricate processes involved on the atomic level though we would never have dreamt of establishing a risk calculator for an aircraft dropping down. And with my now superficial understanding of what is involved in CVD I realize that what Malcom points out about what is involved in the combination of variables makes my own field of expertise a “child’s play” by comparison. This is also the reason why I would never use a “risk calculator” on my own well established CVD. I rather today enjoy the stress relieving activity of looking out through my bedroom window at the flight training of the now adult seven mallard ducklings (the mother carefully overlooking the adventure sometime the hit the bushes) swimming around the island in the lard pond, and also under the wooden bridge, I designed and also built as a relaxing carpenter activity. I agree. It’s all about the endothelium, how it’s poisoned, eroded , treated unkindly, stretched ripped, infected… like a road patched up with inCorreCt materials it only gets worse with Time. But the Human Spirit over-rides it all; – as that ‘Party Picture’ showed. A supportive society, celebrating Family, Friendship and Love underpins all Health , not just the Cardiac variety. – And don’t forget the wine, “that maketh glad the ‘Heart’ of Man” . many thanks. Also… After 55years I have a working example of how ‘factorial’ can be of help in understanding your excellent message. Great post. You often witness people being very confident on the cause if CVD but when challenged with paradoxical observations immediately collapse into the shell of ‘multifactorial nature of the disease’. Although this doesn’t seem to dent their confidence in their original assertion. One question I had was if you were aware of the work of the engineer Dave Feldman on chlosterol? He seems to be asking and answering some mechanistic questions on energy homeostasis, which link to CVD (too much metabolic energy and CVD seem to be linked). This question should have followed your recent piece on saturated fat really. I have met and spoken to Dave Feldman at length. I like his thinking, but like almost everyone else he seems to have become trapped in the ‘single cause’ paradigm. One thing Dave Feldman shows is how useless the “cholesterol” readings are. When you can dramatically change your readings in a few days, just by following his protocol, that makes these readings unreliable indicators of anything. For instance, just for fun I was going to put in some of my numbers into the US calculator, but I realized I didn’t know which I should use. My numbers vary greatly: fasting causes them to go awry (according to “classical” thinking), and eating regularly causes them to “flatten” out. For instance, my total cholesterol varies from a high of 224 (mg/dL, US units) when fasting 4.5 days, to a low of 155 when eating regularly; LDL similarly 152 for that fast and 93 for the TC low of 155. HDL is also variable (40-48), though not as much, and triglycerides are similarly widely variable (158-54). These are all from the same two tests, one 4.5 days fasting, the second from 12+ hours fasting. My HDL has varied from 36 to 55, going up and down over time and other tests. And this happens for all the “cholesterol” values, including LDL-P, Lp(a), ApoB, HS-CRP, etc. By contrast, the typical cholesterol study treats these values as immovable objects — they take a value and assume it never changes. His work also to highlight the lean mass hyper-responders is amazing. While I think your work is more inclusive, his work has been quite interesting, even if he is stuck in a single paradigm. I so agree on the need to get down to the mechanisms involved in CVD initiation and development: cell biochemistry, histology of the arteries etc . . .
To be fair to Dave F. I do not think he is seeing his work on lipid metabolism as contributing to a single cause explanation for CVD. I think his position is that . . . anyone who says that Total serum cholesterol, or LDL-C are reliable risk factors in predicting CVD are deluding themselves. I do not think he has said much on what *does* cause heart disease. In fact his practical experiments seem to be directed to elucidating a biochemical background of lipid processing that should prove useful to those developing a mechanism for CVD. As you say, “like everyone else” including those who fund trials. When you said “Go on, design a clinical trial to explore that.” it reminded me of the tribulations Dale Bredesen experienced when he was developing his treatment programme for Alzheimer’s Disease he describes in ‘The End of Alzheimer’s: The first programme to prevent and reverse the cognitive decline of dementia’. When his backers realised that he wasn’t developing a ‘magic’ pill they pulled his funding. Thank you Dr Kendrick. I heard an engineer say that they take six steps backwards to work out ’cause’. What caused that, what caused that, what caused that etc. So do we just keep coming back to ‘it starts with endothelial damage’… then the process begins…. Thank you. I had thought no. 50 might be the last, but glad it’s not. Seems we still have a long way to go. I recently found this document relating to alcohol consumption, atrial fibrillation and other heart problems. GP’s, cardiologists and staff have their heads so buried in the system it is something they they fail to consider. I postulate that heavy alcohol consumption in my past has caused damage to my heart even more so than moderate pipe smoking. I now do neither. Thanks for the posts, I look forward to the book. If I were Russian, I would vote for Putin because he is a very unflappable, stable leader. My partner (who comes from Czechoslovakia that was) agrees, despite the fact that Czechs tend to hate Russians for what the USSR did. BobM, trump is not only a philanderer. He is a fraud, liar, bully and thug. When he wanted to get posession of a tower block in New York, he employed a firm of thugs to harass the residents to make them leave. I wonder how many had an earlier death than might have been the case, had that not happened. Then there is the case of the Balmedie golf course in Scotland where he trashed a site of special scientific interest, harassed the residents, had 20 foot high banks build in front of their houses, attemped to get compulsory purchase orders tobuy the properties, complained the proposed offshore wind turbines would spoil the view from his now trashed SSSI. trump is as bad as others when they get rich and “powerful”, they become corrupt, and the end result is people probably die of stress related causes as a result. Show me a politician that isn’t a philanderer. I would guess they get so many offers that it is hard for them to resist. As regards murder, ask yourself who authorised the murder of David Kelly – who supposedly killed himself, but the government has never allowed a formal inquest into his death. I would have toted for Putin if I were Russian, and for Trump if I were American, because both seem keen to reduce East-West tension. Sorry for going slightly off-topic! dearieme: And Trump, of course. Yes, I think Trump is the greatest risk factor, for me! Morgana: I was joking. I actually feel more betrayed by Obama than I do Trump so far. But ask me again in six more years! Calcium is found in mineral form as hydroxyapatite (correctly in bones/teeth and incorrectly in soft tissues, such as arteries in atheroscerosis). Calcium is also a signaling molecule. A CAC=0 is a 15 year warranty from death by all causes. It is common to observe that bones seem to lose calcium as arteries ossify. The inter-relationsips of the common chronic diseases (CVD, cancer, T2D, AD, fracture, metabolic syndrome) – where they are described as risk factors for one another…or commonly concomitant – can be explained by this shared etiological mechanism of calcium dysregulation. That zip code factor can represent dietary quality, which affects calcium regulation. No one has looked at calcium regulation as represented in these diseases together, but a search of calcium and each individually will show some interesting results. Please show why this is misguided. If found correct, then dietary guidelines have inadvertently led to further dysregulation via creating dihyrophylloquinone when we hydrogenated high vitamin K1 oils (doesn’t make calcium behave as do normal K forms), when we reduced so-called saturated fats that contain K2, when we created food additives such as man-made emulsifiers that impair microbiomes because those maligned saturated fats had emulsifier qualities (some of our K2 comes from gut- made long chain K2, but gut actions also cleve dietary K/convert them to K3 and package that in chylomicrons to send throughout the body). This idea answers what has been presented today. A common mechanism on scale as small as a signaling molecule or as large as bones, gone awry and caused by many things that tend to be misunderstood. The measurable CAC is just how these microcalcifications have grown. Folks who have looked have seen them before they are visible by CT. The endothelium is riddled with vitamin K-dependent proteins, with MGP as the main one. Carboxylated MGP (matrix gla protein) is the most potent anti-calcification agent known. If you search microcalcifications, you will note that BC is identified by this. So…cancer has dysregulated calcium (and search ‘cancer is addicted to calcium;), atherosclerosis is dysregulated calcium, search calcium and diabetes, too. Plaque is formed when calcium is dysregulated. K2 is not the only factor in regulating calcium, but it is essential and it is a nutrient/hormone that we have tended to foul up. Plaque may begin as microcalcifications, but probably does not. Many things have been ‘published’, but that does not necessarily make them correct. Could the “post code factor” have to do with shared water supply as well? Some water is very high in calcium- (and/or low in magnesium). Lack of vitamin K2 is an interesting point; it could explain why traditional diets (like the French diet) seem to be protective. Very likely the postcode correlates with income. That in itself is a complicated variable involving stress, diet, access to preventive strategies, etc. But poverty, for which postcode might be a marker, is correlated with higher incidence of many conditions, including CVD. Rather than the postcode factor, how about ‘The number of well supported Churches’ in a district ? I wonder if this applies to the church of the woods, the only one I attend. Janet: Or the church/bar ratio? annielaurie: good point. Although, where I live (in Germany), there are poor people as well as very well off people living in an area where we all have the same post code. I can imagine that the Post Code/Income factor exists in some countries, but not in others. I’m curious if these same risks have been calculated in all countries? Sasha: I think you’re right. This has come about for historical reasons, another result of the ugly legacy of slavery. Lead in the water in Flint, but not in the white areas. Zip codes can also be linked to environmental exposure, not just common diet. Is it also possible that calcium disregulation is one of the causes of endothelial damage, not the cause? Calcium is a “matched pair” with magnesium – like sodium vs. potassium. Magnesium is often woefully low. I tend to agree on the K2 which is also woefully low in “low fat” diets especially where Omega 6 is dominant. Fortunately I have Brie . . .
Don’t have Brie at present, but do have Gouda, Jarlesburg, Morbier, Gruyere, Kaltbach, so I’ll have to console myself with some 85% dark chocolate. Would you like some 85% chocolate? Just put a bucket under the monitor and I’ll upload some. Yes I ring the changes a lot on my cheeses, about the only ones I don’t like are the blue ones. All the others are fair game, except “low fat” and “vegan” cheese. There ought to be a law against that. Vegan cheese????? 😨😨What the….. Regarding blue cheese, have you tried Cambozola? Not terribly blue Camembert (Italian though) delicate of flavour and absolutely divine. I have it for lunch almost every day with walnuts. I’ll let you keep that! Currently along with the last of the Brie I have applewood smoked cheddar. and halloumi which is divine lightly fried in EVOO. Once I had a list of cheeses with their K2 content, then I found another list with quite different results, so I don’t know what’s going on there. Maybe it depends on how the cows are fed, grazed in summer and maybe fed too many grains when indoors for the winter along with their silage/haylage. ISTR Jarlsberg came out well on both lists. I was hoping that my statement about publication (in peer reviewed articles) would initiate a search about my claim that plaques begin as microcalcifications – and I totally agree that published articles are not necessarily correct. Indeed, lots of incorrect publications have affected medical ideas and we are the poor recipients of folks who made these ‘upstream’ mistakes such as looking at serum cholesterol as a determinant of health status, measuring BMD as a determinant of bone health, blaming saturated fats for health woes, evaluating thyroid functioning based on TSH, etc. In short, a lot of medical dogma is flat-out wrong. I have been unable to post over the past few weeks due to many obligations, so that was my way of nudging, but here is some evidence that, indeed, plaques begin as microcalcifications and the role of vitamin K2 in atherosclerosis is fundamental in the behavior of calcium (and cholesterol). * While we have incorrectly measured the beejeebees out of cholesterol, does it have a relationship with calcium behavior? 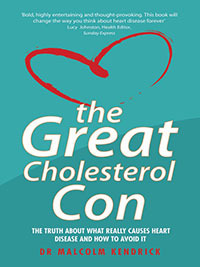 Yes, but the likes of AHA/ACC still measure cholesterol and struggle with what to do with CAC – they consider a zero score to be proof of statins being ‘unnecessary’ but they remain ignorant of what makes CAC in the first place…because they have put all their beliefs into cholesterol as literally causative of plaques and cannot see another way to see the data. * Vitamin K2 is much more complex than just intake, with myriad newly appreciated roles in tissues and cells throughout the body, newly understood mechanisms of transport and conversion, and other new findings. Because K2 has been ignored in the US, and we have defined vitamin K as vitamin K1 and its role as primary to coagulation, we have little data about these ‘expanded’ ideas. A search of diabetes, CVD, cancer, fracture, dementia with vitamin K2 will offer some interesting insights. And if you look at these diseases along with calcium in a search, additional interesting insights are there. Because of this dearth of data, putting it all together is still missing, but I claim that K status is fundamental to the etiology of the common chronic diseases. And looking at cholesterol, at dietary fats based on their bonds, at macronutrients and other fundamental ideas that have been the basis for medical and nutritional guidelines have been incorrect. We ask the wrong things and we miss the right questions. * Many have emphasized the ‘stability’ of plaques and believe that how calcium is distributed in plaque offers evidence of stability or lack thereof. Ironically, statins increase CAC, but the pharma spin is that this is making plaques more stable, less likely to break off and block an artery. But that calcium should not be there at all! The Tsimanes had basically no CAC, but we do as we age in the Western world. Why? I blame our food. And I blame the 1980 guidelines that Stare and Hegsted controlled and which was just adding on to the mistakes of Keys and others to make us lose most dietary vitamin K2, to block its actions (manmade trans fats are really an aberrant form of vitamin K called dihydrophylloquinone, which makes calcium dysregulated), and additionally we inadvertently foul up microbiomes with weird additives to foods that were necessitated by removal of the so-called ‘saturated fats.’ Yes, they are saturated, but they contain K2 and they offer certain qualities to foods such as emulsification. And manmade emulsifiers (replacing such as eggs) and other additives are messing with our guts to cause diabetes and other woes. * Interestingly, advanced cancer patients have ‘clean as a whistle’ arteries…no plaque. Huh. Why would that be? Well, maybe the cancer is so addicted to the calcium that it robs the arteries of it. !!!! !this man was as good as dead…and now he appears to be cured!! Microcalcifications are representative of dysregulated calcium, which manifests as – or coincides with – plaques, cancer, metabolic syndrome, T2D, AD, fracture. This dysregulated calcium can be in mineral form or it can be a signaling molecule. Vitamin K status is determined by intake of all forms of vitamin K, by gut health, and by things that inhibit vitamin K actions (including statins, bisphosphonates, warfarin, dihydrophylloquinone, water fluoridation, etc). We have mostly messed up on all of these. I am not claiming that more K2 will, alone, improve everyone’s health, but it is super common for folks to be insufficient, even if their coagulation rate is just ducky. Yet docs don’t know because we defined vitamin K narrowly, missing its extensive roles and forms and missed where long chain K2 is found in foods and how we can mess it up. Oops. Let me know if that works, or does not. The chapter is called., from the fatty streak to the calcified lesion. Unfortunately, I can only access the abstract and preview of this chapter and the link does not even offer that. I searched it based on the chapter name. That is, the widely observed fatty streaks that are seemingly ubiquitous in young and that increase in incidence with age, were not observed to become plaques. So back to how plaques begin….. I do accept that you have searched every pathway proposed by everyone regarding how CVD begins, but I am going to repeat that it looks like it might really BE microcalcifications that begin those plaques. And they may begin by inactivated vitamin K-dependent proteins such as dear matrix gla protein, which is the most potent anti-calcification agent known. VSMCs are riddled with K-dependent proteins. I just love how they spin the increase in CAC from statins as plaque stabilizing. Isn’t it just amazing to watch how resistant everyone is to actually questioning the merits of statins? That calcium and the corresponding plaque should not even be there, but these folks focus on its stability and not its etiology. And they seemingly have absolutely no idea of the role of vitamin K2 in the arterial ossification they note, nor those K-dependent proteins in VSMCs. These dopes are struggling with the idea of progression and regression of plaques, when their go-to strongly held belief (statins) causes more CAC. So they pounce on the idea of smaller volume is better, even if the calcium has increased. Who says this makes any damn sense? You know what better K status does? LOVE how you are covering this important topic. I want to add to your information and to help hone my hypothesis. Jude Fossett (Mrs) Sent from my Samsung Galaxy smartphone. My parents recently watched an ep. of “Trust me I’m a Doctor”. We’re 3 yrs behind in the program in Canada and only 1 channel shows it. They tested various oils and fats, and it was shown Rapeseed was very “healthy”, but not as much as butter. So my dad took that to mean eliminate olive oil and butter from the diet, and drink only canola. He believes everything he sees on tv. Seeing as he just got a triple bypass last year (I think the blockages were caused by over a decade of Lipitor usage) he does everything wrong nutritionally. He also had many yrs of anemia (caused by statins?). On another ‘Heart’ forum where I also lurk, someone just lost a (not very old) relative. Overweight, T2 diabetic, minimal exercise and CABG nearly 15 years ago..
– . But faithfully took their statins. and followed the dietary guidelines re: fats. Looking at what causes the process to start in a large number of people, would give one insight into the process. I have advanced CVD……… why? How did the process start? 1. Father heavy smoker (breathing second-hand smoke from birth). 2. Girlfriend smoked and family owned a pub (more second-hand smoke). 3. Poor nutrition in childhood (high carb, trans fats, rancid oil, insufficient micronutrients. 4. Social Anxiety (worry, hypertension). 5. High Carb/Sugar diet causing cavities (high mercury exposure from an early age). 6. Living in Los Angeles, Phoenix, San Diego (High level of pollution). 8. Working as a chauffeur in the 80’s (High lead levels confirmed by hair analysis). 9. Self-Employed (high level of stress). In my case, I would say the process started with a combination of second-hand smoke, poor nutrition, stress. Once the process has been triggered, it can be accelerated by other negative factors. Collecting individual cases (data) may increase insight into the process. Phil, I reckon you have been up against it all your life, as will be the case of many others with your sort of background. My question is …. can we make amends, now that we, ( at least those of us following this blog and having a better understanding of what constitutes unhealthy and healthy lifestyles and nutrition), reverse such damage? The caveat being,…. ‘without resorting to medical and/or pharmaceutical intervention’? I think this is a mighty question to answer, and perhaps will take Dr Kendrick well up to blog number 100, and beyond. Jennifer………. just received a positive stress test (usually means 70%+ blockage in at least one artery) and a CT Calcium Score of 979 (>400 High risk of a cardiovascular event). I have been LCHF, real food, organic for some time now, no alcohol, meditation, live in the country. Atherosclerosis can increase as much as 30% per year. I’m hoping to slow progression and stabilize plaque. I’m in great shape, feel great and have no symptoms. The ‘medical system’ will probably throw in a couple of stents and prescribe a high dose of Lipitor. I’ll take my chances. Dr. Kendrick and others make so much sense. Although in my position, I know I’m also going to need a little luck. I forgot about excessive/binge drinking at a young age. I lived in England until I was 22, drinking starts early in the U.K. Participants who consumed more alcohol were more likely to have coronary calcification. BTW: I also have low bone density (osteoporosis). Common pathophysiological mechanisms involving inflammatory cytokines, oxidized lipids, vitamin K2 and D3 deficiency are implicated in the progression of both Atherosclerosis & Osteoporosis. Phil, you could add pomegranate juice to your LCHF diet, though you needs be careful where you source it from. Mine comes from turkey, around 8% “sugar” which is easier to stomach (sorry…) than the 14% Aussie/local supply. Even decimating the hype, it looks promising. – I’m convinced that 12 months on the edge of a mental/emotional collapse, it did it for me ! But you have both posted and commented on this element of CVD (i.e. where the plaque appears and does not appear in the arteries) so perhaps baro trauma over time is not the answer you are looking for? – So why do you use a younger picture on your profile ? “Scurvy, for example, has a single cause. A lack of vitamin C. If you replace the vitamin C, all the signs and symptoms of scurvy will disappear”. Strangely enough, this may not be the whole story. There is reliable evidence that Arctic and Antarctic explorers who took absolutely no Vitamin C, or foods believed to contain it, survived perfectly well as long as they ate the local animals and fish. For over a year, in some cases. Moreover, Captain Scott and his party, who died on the way back from the South Pole, were plentifully supplied with citrus fruit and drinks containing plentiful Vitamin C. Scott, who was very meticulous, took pains to consult specialists before his expedition, and carried everything they recommended for Antarctic survival. Accounts of Scott’s men as they neared death strongly suggest that they suffered from scurvy. Shackleton, who took a much more carefree approach, had little or no sources of Vitamin C. Indeed, his men ran out of ordinary food and were reduced to hunting seals, fish and the like. They suffered no scurvy at all. A possible explanation of these facts is that Vitamin C is only necessary to human beings who eat carbohydrates. According to Vilhjálmur Stefánsson, who spent many years in the arctic living with Inuit, the locals would feed the entrails of the animals they ate to their dogs and the Inuit would eat the muscle meat. I haven’t eaten plants in more than 3 years. Mostly I just eat beef and some bacon and eggs. No offal or supplements. I don’t have scurvy. Muscle meat will cure/prevent scurvy. There are a few theories as to why this is possible: muscle meat has some vitamin C in it; scurvy is from the break down of collagen and vitamin C is necessary for humans to make collagen, but meat has collagen that our bodies can utilize so there’s no need to synthesize it; and lastly, a glucose molecule is similar to vitamin C molecule and consuming lots of starch interferes with our body’s uptake of vitamin C, so someone eating lots of carbs needs lots of vitamin C, but someone not eating a lot ( or any) carbs needs much less vitamin C.
Yes and also some biochemicals are involved in recycling the vitamin C. Various flavonoids mostly found in vegetables but also in salmon and prawns come to mind. I don’t take albuterol (the most common one in the US) because it’s the direct opposite to another drug I take, nadolol. One increases blood pressure, the other blocks that effect. Amusingly, my doctor didn’t tell me that. However, I’m an obsessive insert-reader and always ask for the actual insert for a new drug, to read. I now use atrovent for asthma. Yes, the asthma meds do increase bp, usually. The most common one is the opposite of beta blockers. This is very apposite for me having been given my QRISK assessment by my doctor this morning – 20.2% chance of CVD in the next 10 years. The graphic of 100 little faces – mostly smiling – but 20 of them looking sad (i.e. me!) is alarming. Interestingly the unhappy faces are scattered amongst the 100 giving the impression that there are more of them. If they were grouped together on the first two rows followed by eighty smiling faces, I guess it would look a lot less intimidating. It sounds much better to think I have an eighty per cent chance of NOT getting CVD in the next ten years. Also interesting is that there are no positive factors taken into account – for instance, I’m overweight, yes, but very fit. I live in quiet pollution-free countryside. I have little stress in my life. I’m happy! Surely these must have some effect? This makes me ask what is the definition of migraine? There is some disagreement I think. The last one has led to the mistaken belief that it’s just dehydration that causes it. This myth has caused a lot of suffering in the migraine community. Especially when US insurance companies decided it was time to curtail IV therapy in ER’s. They’ve recently borne down even further on what IVs can be given in the ER or in hospitals in general, putting patients at risk. Well, I don’t know if I had migraines, but I had many headaches which mostly followed my menstrual cycle and now I don’t get them any more. I got a lot more than 4 per month. Perhaps 15. If I did not take something, I perhaps could become sick and it would certainly be hard to function. The pills that worked best did have a vasoconstrictor, caffeine, plus aspirin. The headaches almost always occurred after about 6 hours of sleep. Angelica: Thank you for reminding us of hydration and electrolytes. I’ve never had a migraine, but I think everyone would benefit from better hydration and increasing potassium, magnesium, and salt consumption. Your posts never fail to amaze me and this one is no exception. Bloody brilliant. Does not “process” lead to a loss of homeostasis, no matter the causes that have led to that loss? I also question protocols and pharmaceuticals that are now standard care when it is obvious that the actual causes and mechanics of CVD are not known or understood. OK JS is a pseudonym. If erectile dysfunction is a risk factor for heart disease (which it seems it is) then how come when I mention this to my GP (“it’s important you discuss this with your family doctor, blah, blah”) his response is simply to offer me Viagra. He did ask if I get chest pains, which I don’t, so apparently all is well. I also have this thing with my ear lobes (Frank’s Sign if anyone wants to Google it) which brought a quizzical grin from said doctor who had never heard of it. Having read that the first sign of a heart attack may well be your last I’m far from satisfied with this somewhat perfunctory prescription. I’m 65 years old, not alas within my BMI but exercise regularly and try to eat properly although what ‘eating properly’ actually means is not at all clear. Meanwhile according to QRisk 3 my chances of a heart attack are precisely 11.9%. Sometimes a 10 minute appointment just doesn’t cut it. As ED becomes increasingly common as we age, I wonder if it is only ED at an early age that is a distinct risk factor for CVD. I think my philosophy regarding medical risk has shifted somewhat away from yours. I think it is frighteningly easy to become constantly afraid of ill health and death as we age – constantly chasing tests. I now shun all tests, and just take life as it comes. Something will take us all off, and if you don’t learn about it until the last second, so much the better! David, I have shunned the endless tests for over 5 years…such a wonderful feeling, isn’t it? My husband had flu in January, causing severe headaches, so we had to seek help. He was not offered anything constructive, and we are glad to report that the situation resolved itself with time and home nursing care. BUT, you guessed it….the subsequent blood test has resulted in assessing blood glucose tests, cholesterol tests, as well as B/P monitoring. But, at 75 he is great….over the ‘flu, and thoroughly enjoying life after the nasty hiccough which any of us could have endured. HE IS WELL NOW….so why the endless requests for monitoring this that and the other? He is being strong willed and politely turning down the, (now frequent), letters, texts and phone calls which I have endured for years. It is a funny old world, isn’t it. As you say, one day we will succumb to something or other, but this constant cajoling is spoiling our later years. This is SUCH a wise and sensible book. The craziest example of screening, I think, is the idea to screen people for Alzheimer’s. As I understand it, they have no treatment that is very effective, and yet they still want to start screening people in a variety of ways – just so they can make them miserable. Don’t let all the invites for screening get you down – just treat them like the emails telling you you have just won £1000000, and similar rubbish. That is a good idea, especially as I never gamble, so cannot be conned by such emails. Should I take ill then there is no doubt there will be plenty of diagnostic tests to fulfil, so I will save mine up for that event. I am a believer in scientific, therapeutic medicine, and not in prophylactic medicine, which I believe is a pharmaceutical form of chrystal-ball gazing. Oh dear, I get more cynical as the years go on. Jennifer: Me, too. I got one of those in the mail today. I call it “trolling for customers.” In to the recycling bin they all go. Didn’t you explain this to us in a previous post in this series, Dr Kendrick? I always look forward to your informative and mind challenging discussions on the topic which is dear to my heart, so to speak. Just wish I could get a sneak peek at the final chapter to discover the cause before it’s too late to fix my problem. Keep on publishing your articles. Morgana – post code factor: shared water supply. I was thinking of busy, polluted urbanised areas, extensive road networks, airports increasing the risk factor vs the tranquility of rural areas. And food availability. There are inner city neighborhoods in the US classified as “food deserts” – only junk food available. As one v interested in calcium scores, I’m very impressed with your score of zero. Fantastic! Your comment (and Dr Kendrick’s) about ensuring repair outpaces damage seems to have done the trick. Have you had any other CAC tests done over the years? Apart from arterial trauma (maybe or maybe not based on your comment/calcium score) I was mulling over other issues with age which impact on the heart and arterial health e.g. – CoQ10 levels start to drop (also a bad thing). But we don’t all drop down dead at the same age. 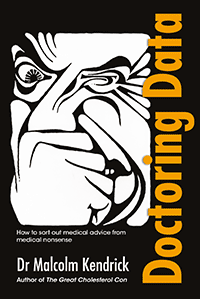 Just halfway through the book referenced in this blog about over diagnosis and about to start James Le Fanu’s book on over medication. More interesting information to get my head around. I don’t see ‘stress’ or ‘strain’ included anywhere, perhaps because it’s imppossible to measure? You can easily dismiss that by doing a study of refugees worldwide and seeing how many develop CVD. Do they have a strikingly higher incidence of CVD? They are demonstrably under stress/strain and have been for years in their home country and in their adopted country while settling in. Another group you could try is young women who’ve undergone abortion. Again, demonstrably under a terrible strain, do they show more CVD? What about prisoners in countries where they have good access to health care, but are otherwise under strain for years (in the US this would be invalid since we know they don’t get adequate health care)? My theory is that life is stressful by design, and even when you calm down from something like being a refugee, you remain hypervigilant in most cases. If everyone died of CVD due to that, there would be no overpopulation problem. ‘By the fall of 1989 the political and social system of the German Democratic Republic (GDR) was run down. The demonstrations against the regime grew steadily in size and number, and on 3 October 1990 the GDR officially joined its western neighbour in the unified Federal Republic of Germany. Unexpectedly, the social, political and economic changes brought about by the reunification triggered a series of drastic demographic developments. The total fertility rate dropped from 1.52 to 0.75 over 1990 – 94, the number of marriages per 1,000 inhabitants declined from 7.9 to 3.1 over 1989 – 93, and the number of divorces (per 10,000 marriages) decreased from 30.1 to 6.6 over 1989 – 92. These number describe a society in a state of shock. Over 1989 – 91, the mortality rate of men in the 15 – 50 year age group rose on average by about 30 per cent. Whilst in most cases age-specific mortality rates peaked in 1991 and started declined thereafter, in 1994 the rates for the 15 -50 age group were still 10 – 20 per cent higher than in 1989. Also, no decline at all was discernible for men aged 40 – 45 years. Surges in death rates for women were much more contained and were significant only for the age group 35 – 45. For some reason this comment is listed as Dr Kendrick, when in fact I wrote it and I wrote it because it was one of the factors in his book on Cholesterol. Also, every time I try to leave comment it makes me sign in again! And it’s doing it again, as I try leave this commeny. Sorry, not sure why this is happening. I have a tech person that helps me out, will ask him. I think I’ve figured out why it happened, because I entered a different website address than the one used in my WordPress ‘follow’ account. But then again, maybe not as I left that one with the usual website and it’s asked me gain? There were also tremendous financial problems for the Russian and Eastern European population when the Berlin wall fell. People couldn’t afford proper food or medicine, not to mention drinking cheap rotgut to alleviate their miseries. Laying everything at the door of stress would be a mistake. “Real” doctors don’t use those anyway, at least in the US. I plugged in a total cholesterol over 200 (US units), and then one under 200 (both actual numbers I got on different tests), and got a relatively low score for both (and lower for the one under 200). But go into your doctor with a cholesterol over 200, and he or she will freak. They also look at LDL, which isn’t on the calculator. The statin manufacturers love LDL. If we can figure out how to interrupt and/or reverse the process, we will be on the way to bankrupting the medical industry. I’m all for that! I think we’ve made much progress here. I gather that the higher the latitude in N Hemisphere, the more c. pneumonia is prevalent. So is it the sun or the lack of exposure to the pathogen that decreases the CVD risk, researching that now. The idea was to prescribe pregnant women with an underperforming placenta sildenafil to promote growth of the fetus. Tragically, many of the babies developed pneumonial hypertension after birth, and a shocking percentage died vs. none in the control group. Can anyone suggest the mechanism here? Maybe pneumonial blood vessels were underdeveloped under constant dosage and turned out to be too narrow after sildenafil concentration dropped after birth? What would cause them to underdevelop with Viagra? This is interesting. I knew that Viagra had some potential benefits in inter-uterine growth retardation. It gets a mention in my new book. Quite why it would cause pulmonary hypertension is a surprise, as it is used to treat pulmonary hypertension in adults. it could be that it has over driven the process of lung maturation – in some way. This is one of the many difficulties with human physiology, things can go in exactly the wrong direction, unexpectedly. There are so many variables. Glad to hear I was not the only one dumbfounded by the article. As I have hinted, maybe the baby did not see the need to develop proper pulmonary vessels because they were kept open by regular doses anyway. Another explanation is hinted at in the article: who knows how much more Viagra was ordered over the internet and taken prior to or in addition to the prescription? The control group results refute this explanation, thorugh. Viagra not good for fetus. CONCLUSIONS: The results provide evidence that sildenafil but not iloprost and bosentan induces angiogenesis in vitro and in vivo. Dysregulated angiogenesis, as an important pathophysiological part in the progression of PAH, may be triggered by the chronic ingestion of sildenafil in the long treatment period and may cause negative effects. Yes, this would make sense. As readers of this blog know, angiogenesis (the formation of new blood vessels) is highly important in creating, for example, collateral circulation in the heart – when coronary arteries start to block. The cause of thalidomide is believed to be that the drug thalidomide blocks angiogenesis and therefore stops limbs developing in the womb. The effects of thalidomide can be, in turn, blocked by giving Viagra (at least in animal experiments). However, I suppose if you drive excess blood vessel growth in the lungs this could well cause problems that lead to PAH (Pulmonary arterial hypertension). In retrospect this was always a theoretical possibility. Turns out it also happens in real life. That’s why you need clinical trials. Too much of a good thing can turn bad, rather like giving oxygen to premature babies. Too much is bad. I hold that – at a deeper level that we generally recognize as a result of subconscious conditioned or learned reaction – there is a simplicity – but not as a ‘model’ that can be mapped, applied as a means of control over life. A simplicity or unconflictedness of being in which life works without distortion. I hold that life is designed to be lived and not reverse engineered in terms of modelled maps of meanings that find temporary partial matching, so as to always believe one is now approaching an understanding as a result of replacing an old map with a new one. The very nature of human consciousness – as generally accepted – is predicated upon mapping, predicting and controlling as if – I repeat ‘as if’ from a leverage outside and upon the whole. I hold that our consciousness is set in such a split levelled mind as the attempt to both validate and defend self image (the personality construct as a whole), and to defend against exposure in feared or hated (read ‘judged’) truth. This works the lie and the father of the lie that operates from a sense of self-lack, division and struggle – all of which operate the saying that to those who have not, more shall be taken away – even that which they have. Not by someone ‘else’ but by embodying or making manifest an abundance of lack as the scarcity principle on which ‘worldly’ power depends – and so it inherently seeks to ‘control’ anything needful for life to serve its own personal protection first. Because the map or model or image is never the reality itself, who and what you are is not necessarily aligned or supportive (in your terms of framing) of who you think you are. Though if you choose to believe by reaction that which is untrue, you are supported by life in having your experience as you have asked. We do not know what we are ‘asking for’ because our mind is split from our true desire to run as a defence in which we are more focussed in what we seek to avoid and not in health or wholeness. Suppressing life leads to depression, rage and powerlessness. Expression of life leads to guilt and anxiety – that often leads to hateful behaviours in the attempt to get rid of it. But these results are not the urge of life to be itself in all it is – so much as the attempt to control it under the fear of negative past experience being relived. Regardless anything anyone says about life, you are your own determination and acceptance of what you accept to be true by acting as if it is. The placebo effect is a ‘scientific’ term for something scientists do not understand and somehow becomes a term of derision – as in homoeopathy being …just a placebo effect – without recognizing that the effect of acting or reacting from belief applies to all modalities of ‘treatment’ – including support for the healing process that the symptom illuminates. Next, the nocebo effect is a kind of voodoo that is active in such phrases as ‘there is no cure for (this disease condition) or ‘there is nothing we can do for you, you have x months in which to get your affairs in order’. The nature of such fear believed by reaction as true is the exposure of a sense of self-lack set against an overwhelming opposition against which poor hopes seek to ‘manage’ the disease process so as to delay the inevitable albeit at an often terrible cost in terms of quality of life. There are reasons for choosing to be-live some ideas and not others that are a matter of coherence and integrity of being. It does not mean they are full realisations of a’truth’ but that they can be accepted wholly and lived wholly and thus wholeness of being aligns health – not as a merely physical set of tick-boxes, but as the quality of living this day well. I do not speak against the exploration of biology because wherever we look, we will find what we are looking for. The ego-centric distortion runs as ‘Seek and do NOT find’ – but make the ‘search itself’ a means of self-validation. If we had enough time to uncover enough information about a particular individual, who was willing to join in the acceptance of healing rather than a search for it somewhere else, then we would likely uncover which pathways and which triggering events patterned the specific disease conditions in that particular individual instance. But that also calls on us to truly accept healing for ourselves also – or we will seek to resolve our own inner conflicts ‘externally’ in others and in our world. Few want healing if it costs the life they believe and accept themselves to be and so an industrial ‘healthcare’ works to support the persisting in dissonant or out of true thought and behaviours – as if that is our divine right and freedom that is thus served. Of course it is our right to think whatever we will and our behaviours must then embody that and result in experience or feedback by which to re-align our thought. But in the ‘identity politic’ of a post truth world of mind-control, narrative continuity/control operates the sacrifice of life unto its dead gods. There is a still point in every heartbeat. Plate juggling all the multifactorial components of an upside down system of thought keeps us to busy to know anything. And so competing interpretations seek mind-share. ‘Know Thyself!’ is not incompatible with mapping out the ‘world’ once we recognize that it is an imaged model that says more about us than it does the world. And history can simply show this. Stillness cannot come into a mind that fears its own non-existence – and this sets up the fear as ‘real’ and Existence or ‘Is’, as a nothing over which to set rules of self-definition and suffer subjection to such experience as unchallengeable and necessary. And here I read Descartes (who was striving for a life beyond 100 but succumbed early to pneumonia in cold Sweden), but formost Schopenhauer who understood the futility of a long life (with the Buddhists). They also rise the eternal philosophical question if “knowledge” is at all possible. Binra, we cannot live such a life if we are true victims of circumstance, to accept we are unique and able to make choices from a spiritual point of view, to view our fellow humans as special(as they truly are) is difficult, not impossible, but from where we are now, in a mad world,so hard. Healing can come from complementary approaches other than accepted models, care taken of course. We surely can have the best of everything offered, though it is damned hard to pit yourself against we know best medics. My best guess is that socioeconomic and all it embraces is a major player, of course Dr Kendrick does cover this. Giving as well as taking from each and every one of us. Sorry Dr Kendrick, sounds like a sermon,forgive my rambles. Thank you for your wonderful posts. Binra, I am sure I may misunderstand your posts, but do enjoy them. The “process” has more unknowns, combinations and permutations than 20 known risk factors. Understanding the biological process is the key to appreciating the impact of risk factors on health. Looking forward to episode 51. I’ve done mine – let’s hope it’s accurate because I’ve only got a 5.1% chance of a heart attack in the next 10 years. Time will tell. I’m not convinced – especially having been on the slab in intensive care 2 years ago and a CAC score of over 1000. But the Qrisk3 designers seemed to think erectile dysfunction or function more worthy of inclusion than these factors. Was there any “publicity” issued when Qrisk3 was released, perhaps giving details on how they put it together and why? Its a thing that doctors use, and know about. How many actually use it… I have no idea. I looked at what Wikipedia had to say and then went to the QRisk link provided..I did a self test with my own details. Age 71, BP 138, no heart attack,no diabetes, etc.. Weight 85 kg etc etc.. But I notice that if I played with the cholesterol up or down, so too did the QRisk go up or down..very very curious as we here know that LDL-C is NOT a causal factor. seems pretty doppy to me as it’s based on poor science. Maybe QRisk4 will be better at predicting CVD risk. Ummmm We live in hope Andy..But I would not hold my breathe..
You are right that it is a huge factor, although it is complex. This study simply states that various ethnic groups have different rates of heart disease, diabetes etc. it does not discuss the rates of those ethnic groups in their own home regions. thus it offers NO calarity about whether it is the ethnic groups ‘general susceptibility’ or simply the effect of living in the USA. Dehydroepiandrosterone and its metabolite, dehydroepiandrosterone sulfate, have been for a long while at the center of interest for endocrinologists and cardiologists. Consolidated data show that the dehydroepiandrosterone and the dehydroepiandrosterone sulfate present protective actions on the cardiovascular system. These actions are accomplished directly through target tissues such as endothelial cells, smooth muscle cells, and cardiomyocytes. At this level, they are able to activate a complex group of receptor, not completely identified, which modulate important functions such as vasodilation, antiinflammation, and antithrombosis. These data support the hypothesis that dehydroepiandrosterone could be used as drug for primary prevention of cardiovascular disease especially during aging and potentially also in addition of the common therapeutic strategy for the treatment and prevention of cardiovascular disease recurrence. In this publication, the effects of dehydroepiandrosterone and dehydroepiandrosterone sulfate on the cardiovascular system have been elucidated, starting with an analysis of the molecular action at target organ levels. In the second part, we evaluated the clinical effects of this administration, considering ultimately possible implications in introducing this hormone into clinical practice. DHEA – a subject area of MUCH discussion for many years. DHEA has been sold over the counter in the USA as a supplement since the early 1990’s. And was recommended to me by a still practising doctor & anti-aging specialist in his 80’s. But here it is listed as a prescription. drug in Oz and about 5 times the price in the USA..
Vits and minerals (well some) no impact on cvd. TS: Thank you for posting the Chris Kresser link. I think it would be a good idea for everyone to read it. He is one of the good guys. All true but the big question is the quality of food. It’s quite likely that fruits, vegetables and meats that people eat nowadays don’t contain many of the nutrients. In that case you can buy supplements from Chris. Sasha: Very good point. Also, the longer it takes from harvest to consumption, the lower the nutrients. This is why I feed my family garden fruits and vegetables, and only rarely buy them. Only take home line was eat your greenstuff for folic acid. Don’t disagree but useful nonetheless. I will still be taking my bag of stuff. I have been reading about this research. First, it was financed by food corporations and the pharmaceutical industry. Secondly, the papers were cherry picked for the meta analysis. Thirdly, unrealisticly low dosages, often of synthetic vitamins, were used for far too short a time. The whole exercise was set up to fail. Same modus operandi as statin research. The todays newsletter from Dr. Mercola certainly relates to what you say. This in turn again brings up what Weston Price arrived at, almost a hundred years from now, when he treated children with severe teeth problems with vitamin rich foods as grass pastured butter. It was about fat soluble vitamins like A, D and E.
Do we trust our bodies enough and respect their love of balance? 1. Drugs might act in an opposite fashion given time. E.g. oestrogen substitutes given for breast cancer are, after about 5 years of latching onto oestrogen receptors and blocking the hormone, apparently capable of acting as oestrogen themselves. 2. If the body is taken to one extreme, it can go off in the opposite direction (e.g. mood swings). 3. When given extra of something (e.g. steroids) the body may stop making its own amount. 4. If too much of something is taken, and the body puts a brake on absorption might it eventually learn to absorb less well? 5. Might not the body adapt to a poorer intake of nutrients? Even fasting has often done no harm or perhaps done some good (e.g. World War 2 concentration camp centenarians). 6. The fortunate few who thrive eating junk food may be the ones to forge the way ahead for the human race (and the rest die earlier and lesson the population problem). 7. When I was at school (yes, years ago) I was taught that vitamin D was stored in our fat for 6 months. Is it true that now we only store it for 2 or 3 months? Fasting does more good and rarely does harm. Calorie restriction is consistently shown to extend life span, at least in rats. Yes BP is important but its inclusion in any risk calculator is surely, misleading. Not ‘misguided’ but misleading, note. Nowadays, I take my readings at home, which lets me standardise the conditions a bit more. I generally measure my BP at least an hour after a meal, and after I have been seated at the computer for a few minutes. Even so, there is quite a variation. I understand that you don’t get accurate results if you measure your BP several times without much of a gap in between because the cuff compresses the blood vessels and they take time to rebound fully (can anyone comment), because otherwise I would quite like to do a few experiments. E.g. read my BP before climbing a flight of stairs, and afterwards. I’m being treated for ‘high’ BP with Ramipril (5mg daily), yet a 24HR BP test revealed that my ‘average’ BP is 128/81. BTW, I’m just turned 73, 5’10” and 62K (or thereabouts). Your findings when taking your blood pressure interested me somewhat. I very often find that when my blood pressure is taken it is very often different in both arms!! It has become something of a game between the nurse and myself, I often joke that it is due to the fact that I have a split personality – joking, of course, not ready for the funny farm just yet. I had a Holter monitor for a day once and the results were indeed quite variable but clustered around a norm. I had another one more recently but the latest version of the monitor no longer displays the results, just records them for the doctor/nurse to download. They never got back to me so I assume they were acceptable but who knows? Interesting, but it surprises me that the important clinical work on this topic by Dr. Kraft, measuring the glucose and insulin response over time after a glucose charge on a large number of his hospital patients, is not referenced as far as I can judge. Nevertheless it is in my eyes a very good strategy, if you as a pre-diabetic, me and my wife, have been caught in the metabolic syndrome (50 % of the world population?) are sensitive to the carbs in your food, to keep away from them in order to control your blood glucose – works excellently for us! I genuinely laughed out loud at ‘postcode’. Thanks again, for all your work, your continuing attempts to communicate and educate, and for your ability to entertain whilst doing it. (Oh, and I look forward to the book….). Thanks; sorry I’m not following that link though I’m afraid, as I won’t give that particular ‘news’paper the clicks. However, irrespective of what it may assert, a postcode is not a causal risk factor. There may well be factors resulting from geographical location, such as latitude, or proximity to polluting factories, or high incidence of unemployment etc., but then the contributing factors are latitude, pollution, and high unemployment (or rather the concomitant stress presumably) etc. and not ‘postcode’. I’m satisfied that postcode may act as a convenient shorthand for combinations of contributory factors present at a particular location that medical professionals can then plug into a model, but that doesn’t make postcode causal factor, and says literally nothing useful about the causes of the condition. It’s a little like the famous ‘yellow fingers are associated with lung cancer…so maybe they’re a causal risk factor’… but of course, they’re not. Alternatively, let’s assume that living in NE1 (the north-east) has a different risk of CVD from living in NW1 (London), which it probably does; in that case, I recommend we simply change the postcode of one area to match the other with the lower risk, hence reducing heart attacks and saving lives… (a bit facetious I know, but it is the point). None of the 20 risk factors are the causes of CVD. Where you live (postal code) appears to have an impact on health. Let’s take access to green space for example. A private green space or public park can be a place to relax and destress. Stress is a contributing factor but only the tip of the iceberg. Have to look at signalling molecules and other stuff for actual causes. But Andy, postcode still isn’t a factor. It is a useful and convenient label for a set of underlying actual factors – such as (for the sake of argument) green spaces, polluted air etc., but not one in and of itself. Increase green spaces, reduce the pollution and the risk will decrease. The postcode hasn’t changed. Change the postcode in isolation (i.e. the ‘labelling’) and the risk doesn’t change. This isn’t pedantry, it’s an important distinction for any statistical inference or modelling. Interesting. Even though they don’t count LDL in the US calculator — my results came with a big red box saying I should be on a “high intensity” statin. Qrisk calculator – version 1 (dated 2015), 2 (dated 2016) and 3 (dated May 2017). – still using Qrisk (2016) and Qrisk (2015)? If there is an annual update, then we should be getting Qrisk4 sometime this year. The study is the first to explore if higher body mass index (BMI) — a weight-for-height index — results in adverse effects on the cardiovascular system in young adults. While observational studies can suggest associations between risk factors or lifestyle behaviors and heart disease, they cannot prove cause-and-effect. Here, investigators triangulated findings from three different types of genetic analysis to uncover evidence that BMI causes specific differences in cardiovascular measurements. “Our results support efforts to reduce body mass index to within a normal, healthy range from a young age to prevent later heart disease,” said Kaitlin H. Wade, B.Sc., Ph.D., lead author of the study and a research associate at the Medical Research Council Integrative Epidemiology Unit at the University of Bristol Medical School in the United Kingdom. Researchers used data on several thousand healthy 17-year-olds and 21-year-olds who have participated in the ongoing Children of the 90s study (also known as the Avon Longitudinal Study of Parents and Children) since they were born in the Bristol area of the United Kingdom. caused enlargement of the left ventricle, the heart’s main pumping chamber. “Thickening of vessel walls is widely considered to be the first sign of atherosclerosis, a disease in which fatty plaques build up within the arteries and lead to heart disease. However, our findings suggest that higher BMIs cause changes in the heart structure of the young that may precede changes in blood vessels,” Wade said. Two of the analyses used in the study (Mendelian randomization and recall-by-genotype) take advantage of the properties of genetic variation. Recall-by-genotype is novel and exploits the random allocation of genes at conception. “At a population level, this provides a natural experiment analogous to a randomized trial where we can compare differences in an outcome (such as heart structure and function) with differences in BMI, without the relationship being skewed by other lifestyle and behavioral factors,” Wade said. Most participants in the longitudinal studies were white, limiting the generalizability of the findings to other ethnic groups. The researchers plan to investigate the relationship between higher BMI and other possible disease mechanisms, such as the abundance and diversity of microbes living in the gut. They also hope to explore the relationship between BMI and cardiac structure and function in a population now in their 70s. Materials provided by American Heart Association. Note: Content may be edited for style and length. Just a minor point: the risk calculator Qrisk3 does use LDL but very indirectly in the chol/HDL ratio. If your LDL is high then even with a high HDL your ratio will be higher. However, the other risk indicators are clearly bunkum, as it is known that body-builders have higher BMI, diabetics can be achieving very tight control of blood sugar (so a yes/no answer is pretty silly) etc. I agree completely with the thrust of Malcolm’s post. Well done! In my age group (+70) cancer is #1 followed by heart problems as leading causes of death. If you tick off all 20 variables chances are you are very sick and have both conditions. The main underlying cause in my opinion is chronic inflammation due to a bad diet. Important to consider the gut/brain connection. Curious about how cell membranes and receptors function. High PUFA’s with glucose/insulin could be the underlying cause of most diseases. Then add medications as the third leading cause of death. Thanks for the link Andy S, which included a link to the environmental health atlas for the UK. Highest risk areas for CVD in UK are N England and S Wales. Interesting list of risk factors which, on the plus side, include work and life stress and socio-economic status but on the negative side includes plenty on cholesterol and diet. I think the CVD map is based on actual deaths. Shame, because my post code is below average risk. Coupled with an excellent Qrisk3 result (low risk) it would appear there is plenty to be positive about. Sadly, for many of us who have been on the slab and survived, this is not the reality. Interesting video. Stated that sugar converted to fat by liver made the red blood cells stick together. Never realized that liver can do the conversion in 15 minutes. Maybe there is something else going on. What is happening in the capillaries? Hyperglycaemia turns HDL bad, just eat less carbs. ‘Good’ cholesterol is turned ‘bad’ by a sugar-derived substance, researchers have found. The findings may help scientists focus on developing drugs that reduce methylglyoxal, which was found to damage ‘good’ cholesterol, which removes excess levels of bad cholesterol from the body, they say. * GNU Lesser General Public License for more details”. Lucky I’m not a mouse then. Nor are a few billion other people. There seems to be a lot of research now looking at many factors but still desperately trying to fit it all around LDL. Probably if they didn’t they wouldn’t get published. In relation to your first link, the medical journalist Jerome Burne runs a website that contains some interesting nuggets of information. It was there that I learned that some experiments designed to show the harmful effects of eating saturated fats, were performed on rats that had been bred for enhanced sensitivity to saturated fats! The paper just quotes the serial number of the rat strain is question and leaves it to the reader to discover the truth. I have become extremely distrusting of medical science – indeed of large areas of science in general. The devil is often in the detail you inevitably skim over. Yes, and you should also look closely at the contents of their chow. One with more “saturated fat” also contained huge amounts of sucrose unlike the “low fat” diet. Lots of ways to achieve the results your sponsors pay you for. I don’t think this query is off topic – it’s CVD and this latest blog has covered risk factors/risk assessment. I’ve latched onto arterial stiffness in the last week and was wondering if anyone has any knowledge/experience of getting their arterial stiffness measured. It seems with age the arteries stiffen and the pulse wave gets faster with time. Has anyone been to their doctor and asked for a pulse wave test? I have no idea if it’s readily available or some expensive test which is not readily available? Or, if you can sit and stretch and your blood pressure is fine, don’t worry. Personally, I like to have tests results to measure and monitor things over time. I also believe HRV is the “best” test for the CVD-status but I don´t know what I need to test it properly. However, I often wonder about our craze for all kind of testing, getting “numbers” to be compared with some more or less arbitrary health “limit”. I mean, we have all our great own bodies to tell us if something is awry inside. If they tell us that something serious is around then perhaps that is the time to do some testing. Still, I am myself (as an engineer) a victim of testing and usually it is the blood glucose to confirm that we are on the “true” narrow path of “healthy” (?) low-carb eating. After, now ten years on this regimen, it seems that “base line” has been stabilized around 5-6 mm/l. Even ketone testing now and then confirms that we are usually in a weak ketogenic state which is also considered to be beneficial for people “like us”. Since I havé just finished the book by Gilbert and others on Overdiagnosed, i have to agree with what you say. I was put off Ivor Cummings book Eat rich enough c because he advised CAT scans every year. Is this a good idea, I doubt it. Yes – the book Overdiagnosed is for sure an eyeopener. I really like Cummings – there is however no doubt that he is an engineer who has entered the field of medicine. His strong point is that he as an engineer is trained to always look for the causes of the things gone wrong. As an engineer you get fired if you don’t while a GP/MD will get fired if he does seek causes instead of prescribing pharmaceuticals. Well yes I get your point about Cummins. But we are not machines, when we go wrong it’s as much touch an feel. Take your own case, is it engineering that has kept you going? Reading again, and agreeing with, what Malcolm is elaborating in this post I should perhaps state that an engineer must first of all understand “the process” involved in whatever has gone wrong rather than looking for “causes” but which should turn up at a later stage. First process – then “causes” – is the true engineering approach. Here’s another book you might like. Particularly good on how statins etc for oldies can be a waste of time and money and be bad for you. His theory on QOF a British system for increasing doctors pay by encouraging them to prescribe medicines to patients who are only slightly out of norms. Malcolm’s comments on that would be interesting. James Le Fanu interviewed me for three hours on statins and QoF. We had a nice meal in the Hanging Gate pub in Cheshire. So, what James wrote was pretty much a report of our conversation. At leas they accept that endothelial damage is the underlying cause of CVD. So, they are getting there. Problem is, if the score is high (which mine was – very high) the usual response is…statins. So different cause – same response. Interesting comment at the end of the article, especially as lately Omega 3 has been slated as being useless for heart health! So what should one do if Lp-PLA2 is high? My answer: reduce PUFA and carbs. I have tried to leave comment to say that I have had a notification of publication date change – to the end of December. That is a long time: I hope there are not too many problems – like those I had with my first attempt to leave this information in the comment column. Cane sugar is a disaccharide (2 types joined together – fructose and glucose components). Honey is mainly monosaccharides i.e. already separated fructose and glucose. All cane sugar has to be separated in the small intestine (by the enzyme sucrase) before glucose can be absorbed or metabolised. Honey’s fructose and glucose are already separated and don’t need an enzyme to do the job. But its fructose part still needs to be converted to glucose in the small intestine and liver. Any rush of glucose in the blood stream from honey is reduced because it is absorbed at these different times – the glucose part more immediate, the fructose part delayed. Are we less likely to overindulge with honey because of its partial (and satisfying) more immediate effect on blood sugar levels? Not if you look at hunter gatherers who, apparently, can eat up to a liter of the stuff at one sitting. Ah yes, but the calcification caused by statins is good. That, anyway, is the latest load of baloney.